Hand made cross necklaces using renewable vegetable ivory also known as "Tagua Nut". Each piece is designed and made in Ecuador. When you think about the cost and the time that took to carve each of them, you realize the real value. 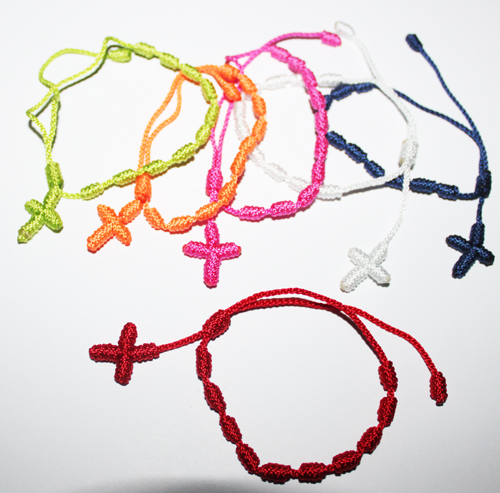 The Knitted crosses come in assortment of 24 pieces at $3 each instead of $4.